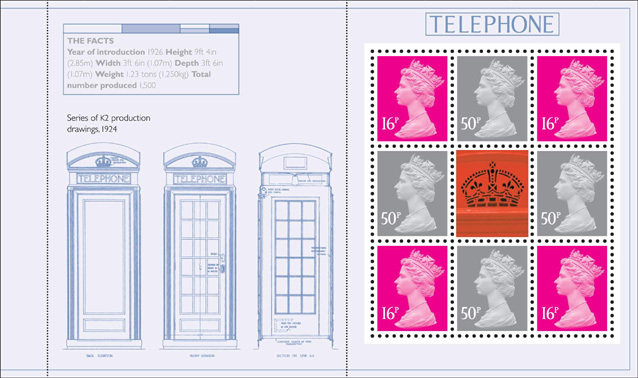 The Design Classics stamp issue on 13 January 2009 includes a prestige stamp book. Stamps on two of the panes are Design Classics, another pane has a block of 4 Concorde stamps, two from the new set and two from the 2002 Jet Airliners set. 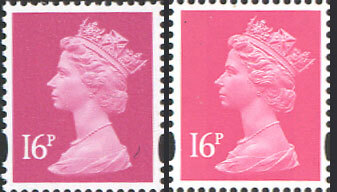 But as usual one pane contains a mix of Machin definitive stamps. As this book is printed by Cartor Security Printers of France, the definitives are all new, and as the enlarged images show, the Cartor versions are quite different to the sheet versions printed by De La Rue. In each case the De La Rue stamp is on the left, and the new Cartor stamp is on the right. 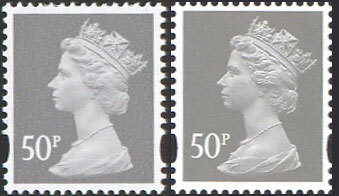 Whilst the pane image above is from Royal Mail publicity, the images here are of actual stamps, which were scanned in one session with the same settings - in addition to the quite distinct head, the shade of the 16p is quite different. This will be required by specialist collectors and those with preprinted albums.